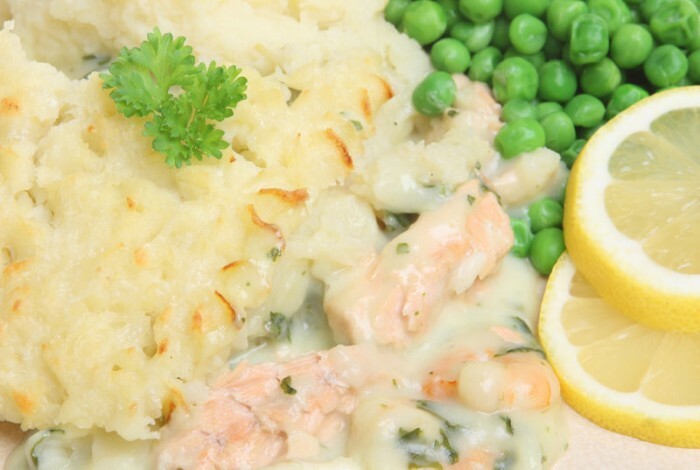 Fish pie is a classic dish. By mixing a variety of fish in with a deliciously cheesy sauce it’s a great way to introduce more fish to kids, and by adding some green goodness in the form of spinach it’s a win, win! Follow a recipe; follow food safety & hygiene rules; tidy away; use a jug to measure liquids; use balance/digital scales; chop using bridge/claw safely; use a box grater safely; mash; use the hob (with adult supervision). Weighing scales, measuring jug, box grater, masher, fork, knife, chopping board, saucepan, wooden spoon, casserole dish. Cut the fish into bite size pieces and place in a casserole dish with the spinach. Melt the butter in a saucepan and stir in the flour. Cook stirring for one minute. Return the pan to the heat and stir until boiling. Simmer, stirring well, for 2 minutes. Remove from the heat. Add the cheese and mix well. Season to taste with black pepper. Pour the cheese sauce over the raw fish and spinach and mix carefully. 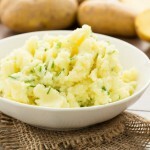 Top with the mashed potato and rough up the top with a fork. Finish the top off by sprinkling with a mixture of breadcrumbs and grated cheese. Bake for 30-40 minutes at 190°C until golden brown and bubbling. Fish is an excellent source of protein, as well as a range of vitamins and minerals including iron. 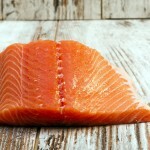 Fish is lower in saturated fat than meats so is a really healthy source of protein in our diets. Spinach is a rich source of vitamins and minerals, as well as other valuable compounds (antioxidants and bioflavonoids) known to be good for our health.